Between 1946 and 1953, French manufacturer Rovin produced four models, although only three sold in any number of note. The D4 was the final model, introduced in 1950 and it sold in larger numbers than any other Rovin with 1,203 produced by the time production wrapped up in 1953. The car features a 462cc two-cylinder engine making 13 horsepower. The tiny car can reach speeds up to 53 mph, which, with tires roughly the size of a pumpkin, I’m sure is quite thrilling. 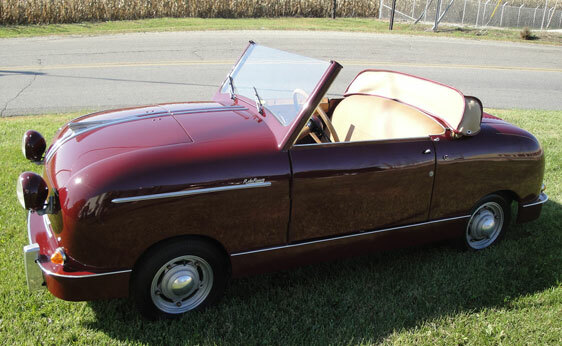 It’s not exactly something you’ll want to autocross, but if you’re a microcar collector or a collector of unusual and rare vehicles, then this is for you. While trying to think of the last time I saw a Rovin for sale, I fail. This car is in great condition and its estimate reflects that: $40,000-$50,000. That might seem like a steep price per pound, but who knows when you’ll get another chance to buy one. For the complete auction listing, click here and for the rest of RM at Amelia Island, click here. LeBaron-bodied Duesenbergs are my favorite, although not necessarily Convertible Sedans. 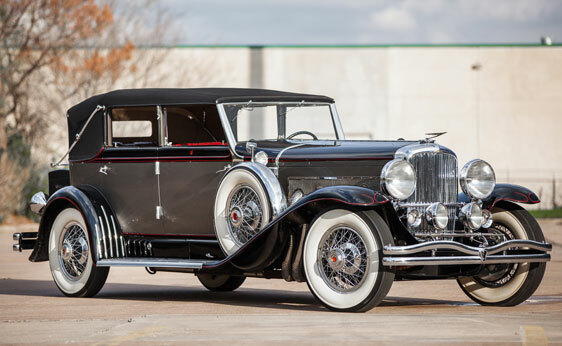 This one has an interesting history, having been owned first by Canada’s first and only Duesenberg dealer, Billy Van Horne. J103 was one of the first cars built (it was the fourth engine and third chassis constructed). It was the first long-wheelbase chassis. 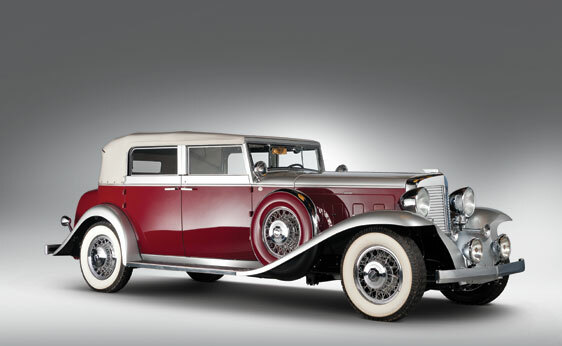 The original body on this car was a Holbrook Seven-Passenger Limousine, which was fitted when the car sat on the Duesenberg stand at the 1929 New York Auto Show. The current body was fitted in 1935 when the third owner shipped the car back to Indiana to get a more sporting body mounted on chassis 2127. This car was restored for the first time in the early 1960s before it found its new home in the Midwest. The restoration has been “upgraded” twice since, in order to keep the car fresh. Ownership is known from new and this is a Duesenberg with no “stories.” There was no storage in a barn for 40 years. Someone has been enjoying this car since it left the factory. Now it is being sold out of the collection of John O’Quinn. There were only three of these LeBaron Convertible Berline bodies built. RM estimates the sale price of this car to be between $800,000-$1,000,000. To read the complete description, click here and for the rest of RM in Florida, click here. Remember how, in high school, you’d sit and doodle and draw the fastest imaginary car you could imagine? To be honest, it was probably atrocious (mine were) – festooned with grotesque wings and Countach-like boxy proportions. Well, in 1931 Adrian Squire, then 21-years-old, decided he would build the dream car he wanted. He founded Squire Motors Ltd. and set out building amazing automobiles. And he did. Squire was a former employee of both Bentley and MG, so he knew what a great sports car should be. The company was renamed in 1934 to the Squire Car Manufacturing Company and started building cars in 1935. 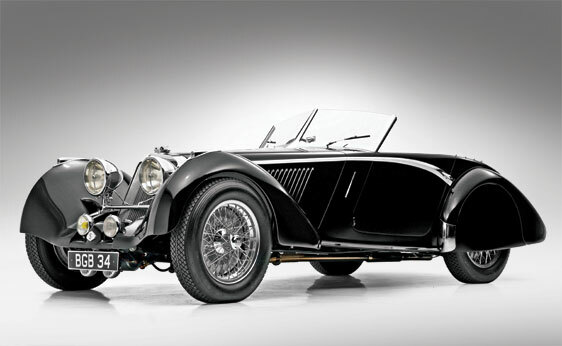 They used a 1.5-liter inline four built by Anzani. A Roots-type supercharger was then added for a total output of 110 horsepower. The cars were exorbitantly expensive and only seven were sold by the end of 1936. The final car was bought by a man of the name Val Zethrin (who sounds like the villain in a sci-fi movie about space). He was apparently impressed by the car and acquired the rights (and spares) of Squire. He constructed about a car per year through 1939, taking total Squire production to 10 cars. The one offered here is the first of the Val Zethrin cars, from 1937. Adrian Squire left his company and went to work at Lagonda before ending up at the Bristol Aeroplane Company, where he was killed at age 30 during a bombing raid in WWII. The cars that bear his name remain legendary for being some of the fastest, best handling and performing road cars built prior to WWII. This car features spectacular coachwork from Corsica of London which was modified slightly during restoration in the mid-1990s. The mechanicals have been freshened more recently and the car is ready to roll. Nine of the ten Squires built are still around. You won’t find one more outstanding than this. If you want it, I hope you have deep pockets, as RM did not publish an estimate for this car. To read the entire catalog description, click here. And to see the rest of the Amelia Island lineup, click here. I’m just going to come right out and say it: this car looks downright scary. Not in a bad way – but in a baroque haunted house kind of way. It looks kind of a like a car constructed by a movie studio that some hapless family would stumble upon in the garage of an old castle and use to escape their ghostly tormentors. But it isn’t. This is one of four “Colonial” chassis cars built by the Spanish firm. They named the car after their unofficial spokesman, King Alfonso XIII of Spain. His exploits in Hispano-Suiza cars helped them reach markets they would have otherwise been without. The engine is a sporty 3.6 liter four-cylinder making 64 horsepower. This car was discovered in Spain in the mid-1980s wearing a touring body with the Double Berline body sitting nearby. It was not uncommon in the early days of motoring to order a large coachbuilt car with seasonal bodies. The “winter” body seen here is by Carrosserie Alin & Liautard and is, like the rest of the car, entirely original. The body had not been touched since the 1940s and is wonderfully preserved. It’s a car of details – one that would truly need to be seen in person in order to be fully appreciated. Big cars this like rarely made it through the wars unscathed. To find one this original in such a fascinating bodystyle is truly unique. I just hope the new owner maintains the history that this car has acquired over the years. It has been mechanically freshened, but a restoration would be criminal. The estimate on the car is $750,000-$1,000,000. This is a fascinating automobile. To read the full description, click here. To see the rest of RM’s Amelia Island lineup, click here. 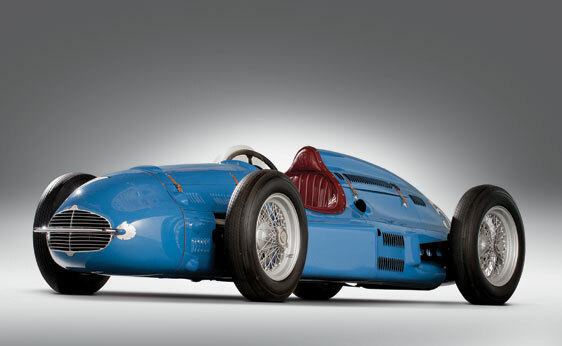 This beastly mid-engined Indy car was built by Indy car-building legends Lujie Lesovsky & Emil Diedt for a man named Nathan Rounds, who provided the funding and the original drawing of the car that he modeled after the brilliant pre-war Auto Unions. Because both Diedt and Lesovsky were busy building their own successful race cars, this car was barely ready for the 1949 Indy 500 where it as entered with Bill Taylor as the driver. He did not qualify. In 1950 both Sam Hanks and Bill Vukovich gave the car a run and failed to make the show. Bill Vukovich was a man among men at Indianapolis and – even though 1950 was his rookie year – if he couldn’t get the car in, there was scarcely hope. Intrigue: Nathan Rounds was close friends with Howard Hughes and it is suspected that Hughes money was behind the project. After failing to make Indy in 1950 the car was shipped to Beverly Hills where it sat in storage, although it did appear in a Mickey Rooney film in 1949. Bill Harrah (of course) discovered the car in 1969 and bought it. When his collection was parted out the car was purchased and restored and eventually purchased by the Milhous Collection in 1998. Here is your chance to purchase a car that was extremely ahead of its time. Indy cars would be front-engined for at least another 10 years and here was this brilliant car that had come along and said “the way of the future” (that’s a Howard Hughes quote from The Aviator). It features an Meyer-Drake Offenhauser straight-four engine (naturally), making about 350 horsepower. It’s fast too – it was tested at Bonneville after it was completed and was clocked at 140 mph. The no reserve pre-sale estimate is $250,000-$350,000. For the complete catalog description, click here and for the rest of the collection click here. I’m trying to figure out if everyone is selling their Murphy-bodied Model Js this year or if the law of averages is in effect, as Murphy bodied the most Model Js. Either way, here’s another great looking Convertible Sedan by Murphy for the taking. This is the original body wearing a very nice two-tone red paint job. 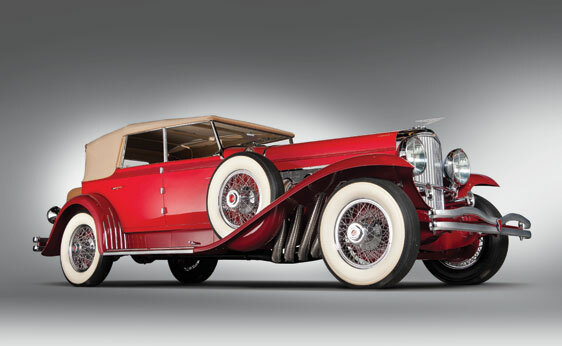 The car was used as a factory demonstrator by the New York Duesenberg branch. Do you think they slashed the price on it and had big sticky letters on the windshield identifying it as a “Demo?” I doubt it. The car was sold to someone in Los Angeles who quickly turned around and sold it again – to the husband of actress Dolores Del Rio – another Duesenberg with a 1930s Hollywood connection. The car was restored in the late 80s and retained it’s original 265 horsepower straight-8 engine (J208). It presents very nice and is expected to fetch somewhere between $900,000-$1,200,000 – and it’s selling without reserve. For the complete catalog description, click here and to see the rest of the lineup, here. Cars do not come much more grand than this. Built for only three model years (1910, 1911, and 1912), the Oldsmobile Limited might very well be the greatest car Oldsmobile ever built. 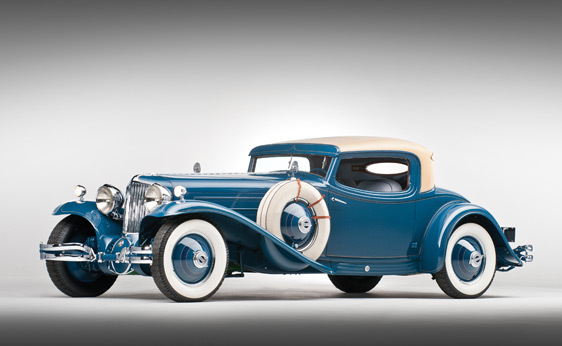 They were available in a number of bodystyles – and an unrestored barn-find 7-Passenger Touring model sold for $1.6 million at an RM Auction in 2007. 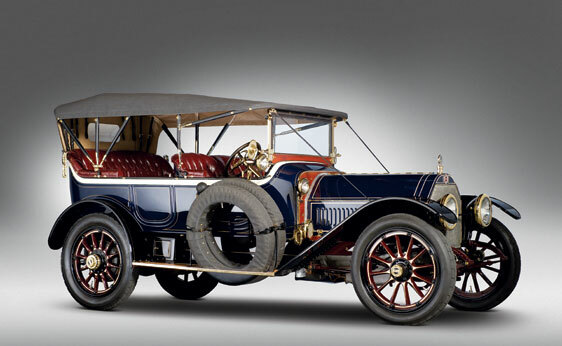 This is one of only 140 Limiteds built in 1912 (only 725 were built in total) and the only 1912 known to exist. The first owner was Canadian and it has passed through the collection of Otis Chandler on its way to the Milhous Collection in Florida. These cars are immense – they should really put something in the photo (like Shaquille O’Neal) so you can compare it to the largest wheels ever fitted to a production car – 42 inches (take that, rap stars). It’s seven feet tall and over 17 feet long. In other words, giant. The 11.5 liter (!) T-head six-cylinder engine produces 60 horsepower and was enough for a capable top speed. There is a famous painting of an Olds Limited outrunning the 20th Century Limited (a train). A new Limited in 1910 would run you $4,600. By 1912, the limousine model would require at least $7,000. So even the base model cost more than a three-bedroom house at the time. Well, that’s still true today. With a pre-sale estimate of $1,400,000-$1,600,000 you could trade a very nice house for this car. 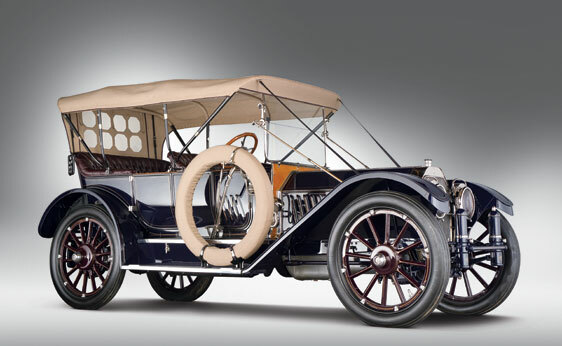 Pre-WWI cars do not come much better than this. For the complete catalog description, click here. To see the rest of the Milhous Collection, click here. The American Locomotive Company was formed in 1901 as the result of a merger between eight smaller locomotive manufacturers. This made Alco the second-largest steam locomotive producer in the United States. 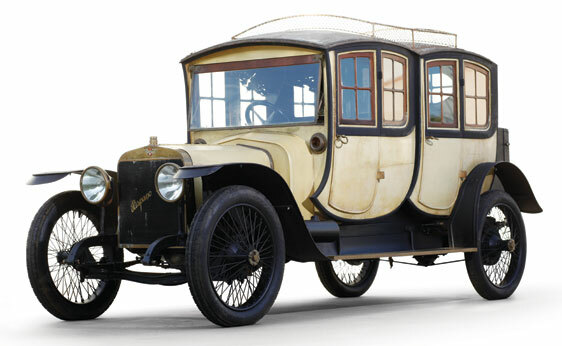 In 1906 the company began producing Berliet automobiles under license (as American Berliet). This license agreement was trashed in 1908 in favor building their own cars. Alco cars won the Vanderbilt Cup in 1909 and 1910 and competed in the inaugural Indianapolis 500 in 1911. Alco was also the first automobile company at which man named Walter P. Chrysler worked before he left in 1911 to join Buick. In 1913 Alco shifted their focus back to locomotives (they had lost an average of over $450 on every car sold since 1906), producing their last steam locomotive in 1948 and final diesel locomotive in 1969. The car seen here is a six-cylinder Model H from the final year of production. It is believed that this car was featured on the Alco stand at the 1913 New York Auto Show. It has 60 horsepower and after the completion of restoration in the mid-1990s, the car was “mechanically updated” in order to take place in brass-era tours. So it’s a driver. Only six of these cars are known to exist and this one is a glorious example. There is something undeniably stately and imposing about large brass-era touring cars. The estimate on this car is $400,000-$600,000 and is offered from the Milhous Collection. For the complete catalog description, click here and to see all of the other interesting things available at this sale, click here.